Today has shown a range of customer service from the bad, to mediocre, to excellent. The bad – I wont name names, but it would be fairly easy to see who I’m speaking about my looking at old posts. We ordered baby room furniture on 9/25. Called to check on it the first time and part of the order was in. Called to check again (actually, there may have been another call in between) on 10/9 and were told they could not locate our dresser and would reorder it. Called to check today and it is no longer in stock and they do not know when it will be, possibly the beginning of November. This wouldn’t be as bothersome to me had they once called us to let us know that items were in or that they were having a problem. All conversations were initiated by us. The items were payed for back on 9/25 and they can’t even tell us that it will definitely be in again. Today, I was told they would see if they could get it for us online. I asked if she would call me back and let me know, and she replied something to the tune of “definitely” or “of course” but when my husband called later she said she was done with us after the last call. So disappointing! We have now ordered a similar dresser through Amazon and will be getting our money back at the original store. The mediocre is barely worth mentioning. We went for dinner and the waitress would drop off items and disappear. Everything my husband ordered was brought out incorrectly, and it took forever to find her to get it fixed! The excellent was Beachbody. 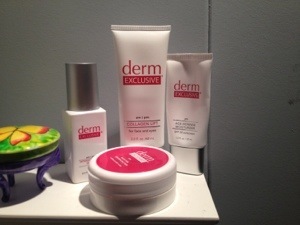 I had an issue with one of the Derm Exclusive products I ordered. I get a 90 day package of 7 items. One of the seven had a different consistency than my previous order. They sent me a new 90 day package of all items. And told me to keep the original package. 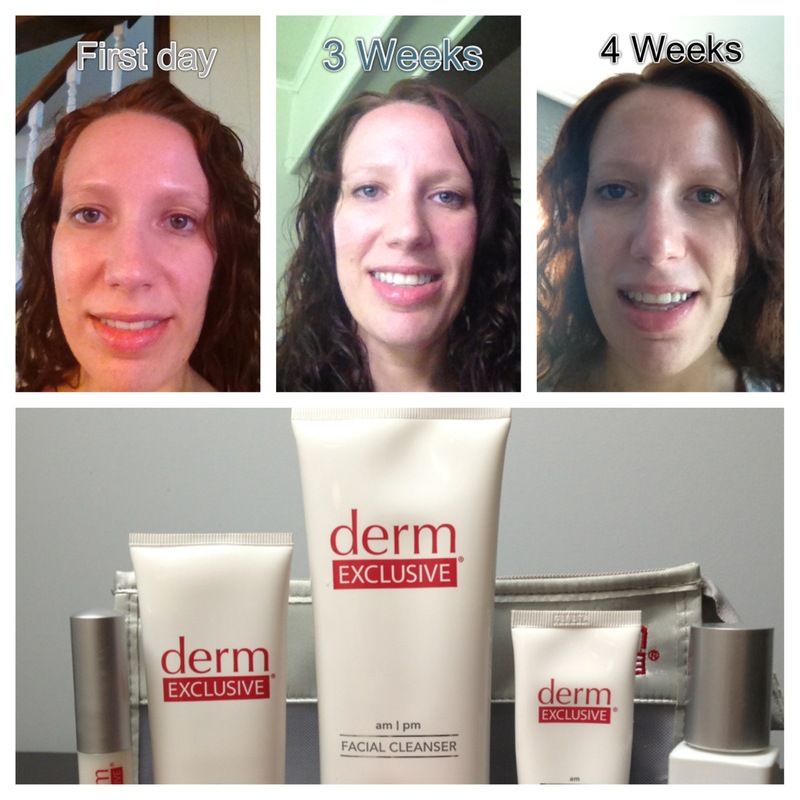 As I would hate to have to go ship products back, just not having to re-pack and ship the items was great news. I would have been happy with just the one product that had the issue being sent out, but I received all seven. Amazing. I wish more companies had better service. I love when I come across a company that surprises me. Even better when it is a company I choose to work with regularly. Otherwise, I’m keeping busy! 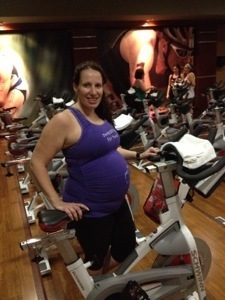 I went to an indoor cycling class on Monday night and I think the instructor was afraid I’d go into labor in class. I took it nice and easy and listened to my body. No jumps or sprints, but definitely a post-ride picture! 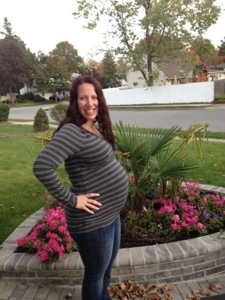 And a 37 week picture. Just three weeks until my due date!